A stunning arrangement of beautiful flowers ! 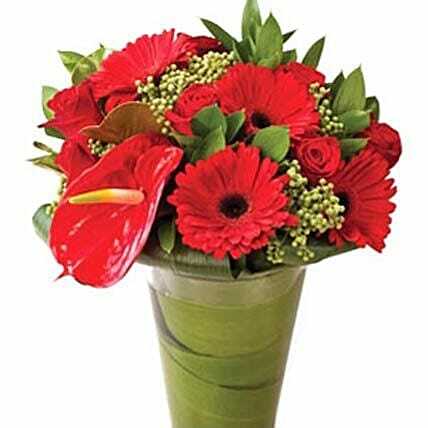 Bring home exotic beauty with a impressive flower arrangement of 6 gerbera, 12 red roses, 2 red anthurium, ruscus, green berries and snow white in a classic vase. It will leave an everlasting smile on the face of your loved one.